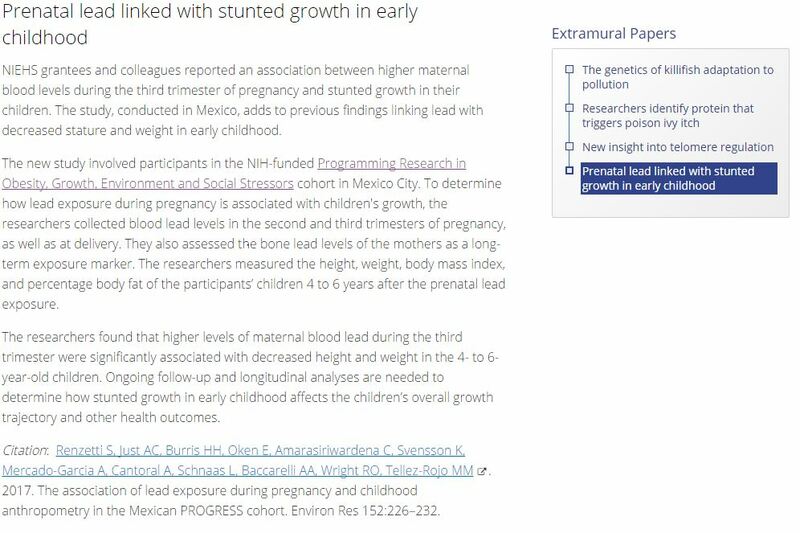 Dr. Wright and Dr. Allan Just’s new published paper on lead and growth in Mexico was highlighted as an extramural paper of the month by The National Institutes of Environmental Health Sciences. The new study involved participants in the NIH-funded Programming Research in Obesity, Growth, Environment and Social Stressors (PROGRESS) cohort in Mexico City. 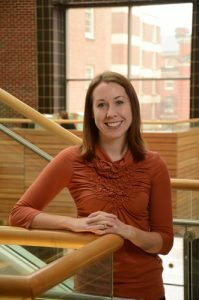 To determine how lead exposure during pregnancy is associated with children’s growth, the researchers collected blood lead levels in the second and third trimesters of pregnancy, as well as at delivery. They also assessed the bone lead levels of the mothers as a long-term exposure marker. The researchers measured the height, weight, body mass index, and percentage body fat of the participants’ children 4 to 6 years after the prenatal lead exposure. To read the full article click here. This entry was posted in In the News on January 11, 2017 by mountsinaitceee. P30 Center Member, Dr. Maida Galvez, shares her insight in a January Huffington Post article about “Why You Should Avoid Antibacterial Soap.” Dr. Galvez recommends avoiding soap products labeled “antibacterial” and washing your hands with plain soap and water for at least 20 seconds. To read the full article click here. This entry was posted in In the News on January 10, 2017 by mountsinaitceee. P30 Center Member, Dr. Scott Sicherer, weighs in on the new peanut-allergy guidelines for infants from the National Institutes of Health. 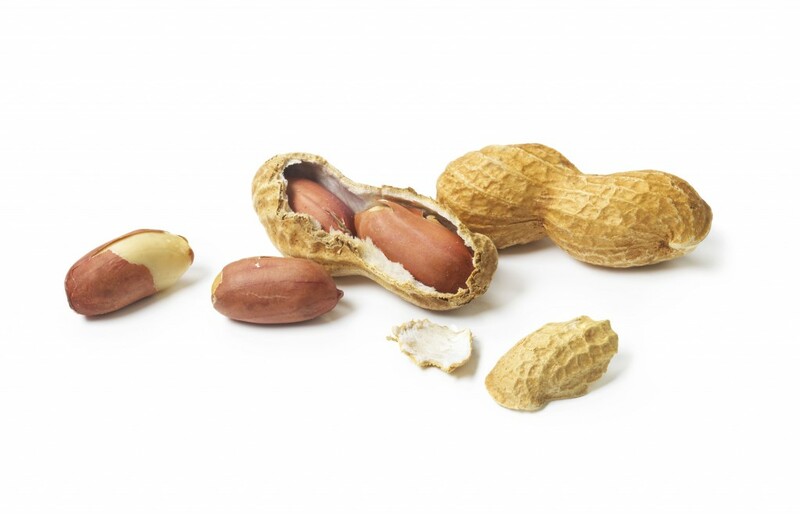 The guidelines state that most babies should start eating peanut-containing foods well before their first birthday to protect them from developing the dangerous food allergy. Dr. Scott Sicherer, who represented the American Academy of Pediatrics on the guidelines panel, states “Just because your uncle, aunt and sibling have an allergy, that’s even more reason to give your baby the food now” — even if they’re already older than 6 months. To read the full article click here. This entry was posted in In the News on January 6, 2017 by mountsinaitceee.